I know it is August and it is definitely hot out there. And this place doesn’t even exist anymore. It melted. 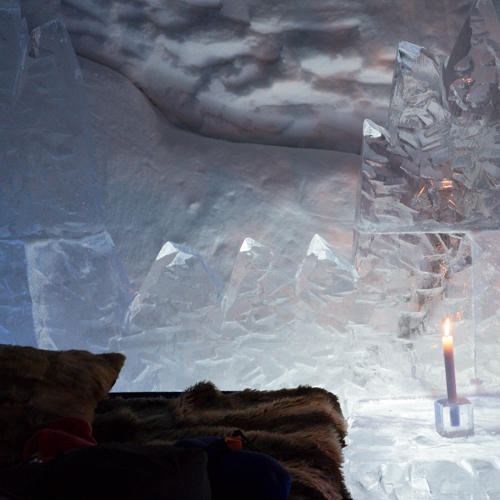 This was our room in the ice hotel. And yes, it was all ice and snow except for that candle and the bedding. Very cool to see, if you’ll pardon the expression. I’d definitely tour it again. Not so sure I’d try to sleep there again. That didn’t work out so well.